Who uses any excuse there is to buy new shoes?! *Raises hand* Summer is probably the season I enjoy the most for shoe-switching as you can get away with wearing so many different kinds, whether it be sandals, trainers (you all know I love my trainers), flip flops or heels! I don't think you could get away with casually rocking up to a wedding in winter in a pair of lovely sandals, do you? If you could take your pick out of the collections on Daniel Footwear, what would you go for?! 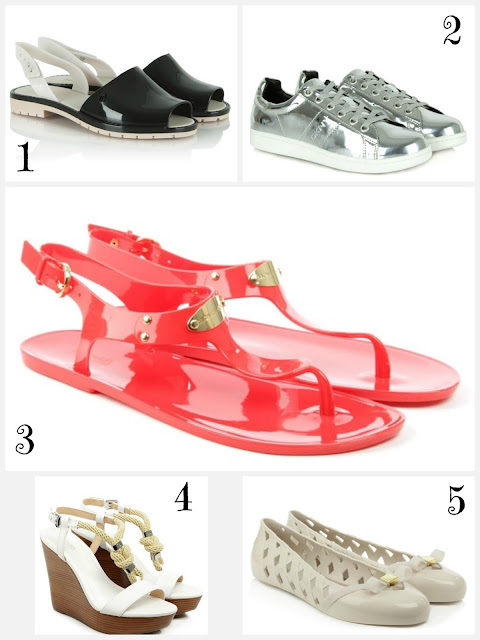 I love the luxury and affordability of it all and I'd happily take all of these on holiday with me in July - you can dress up the trainers and the sandals or even just wear them on day trips. The Jelly Shoes are perfect for the pool and beach and then the High Sandals are gorgeous for dinner and evening strolls! You don't need much more than this and if you're looking for some shoes for your kiddies, they have a lovely range too, I love these Disney (Minnie Mouse style) shoes from Melissa - a steal too at just £30! !